We are excited to announce we are now members of the European Association of Remote Sensing Companies (EARSC), a non-profit organisation created in 1989 with the mission to foster the development of the European Geo-Information Service Industry. EARSC represents the EO geo-information services companies in Europe and is a recognized association both in Europe and worldwide. We are pleased to become one of the 90 members coming from more than 20 countries in Europe. The vision of EARSC is a sustainable market for geo-information services, using remote sensing data, which is openly accessible to all members. To achieve this, EARSC focuses on customer awareness and acceptance of Earth observation (EO) and remote sensing, and improving market access for the members. As a company with extensive expertise in developing key geospatial systems, Sinergise is looking toward new possibilities which might arrive from membership. 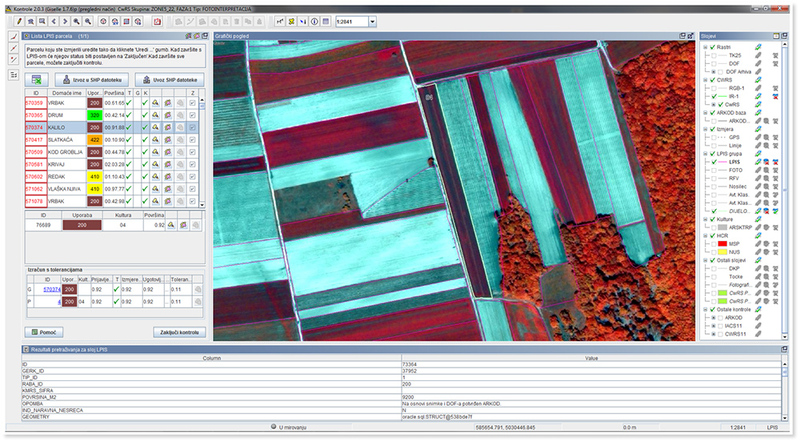 Remote sensing: Sentinel data for IACS controls provided by Sinergise's award winning Sentinel Hub services.